-*Ever catch yourself re-enacting scenarios from your past, but with different people? Sigmund Freud described this experience as “transference,” redirecting feelings toward one person onto a different individual in the present. The current recipient of feelings may have different characteristics, motivations, and behaviors than the original person, but something about the present individual triggers a repeat of earlier feelings and actions. NYU’s Susan Andersen and Alana Baum demonstrated transference in lab studies when they asked volunteers for descriptions of important people in their lives for whom they had positive feelings or negative feelings. To contrast the results, Andersen and Baum also presented descriptions of other people’s significant others. Later, Anderson and Baum described a person seated next door, using either the emotionally-positive or emotionally-negative descriptions of someone from the volunteer’s life or someone else’s life. Participants more accurately recalled the stranger next door’s description when it resembled their own significant other. Recall was enhanced because the salient features of the significant other’s description were memorable when assigned to a new person, suggesting transference. In addition, biased inference and memory is based on “accessibility” and distinctiveness of the earlier triggering memory, according to Anderson’s collaborators Steve W. Cole and Noah Glassman. Transference is an outgrowth of attachment to others in the past, according to Queens College’s Claudia Chloe Brumbaugh and R. Chris Fraley University of Illinois. In their research , participants learned about two potential dating partners: One description resembled a romantic partner from the person’s past, whereas another description matched another participant’s former partner. These volunteers reported feeling both less avoidant and more anxious toward potential dating partners described as similar to previous significant others. Brumbaugh and Fraley noted that participants “applied attachment representations of past partners” to any potential future partner, but to a greater extent when the new partner was described as resembling an important past partner. Earlier, Princeton’s Susan Fiske described this transfer of affective responses to a new individual as schema-triggered affect. Andersen used this framework and a socio-cognitive explanation in a paper with Berkeley’s Serena Chen. People modify views of themselves and others in transference situations, found Katrina Hinkley and Andersen. Volunteers also demonstrated biased recall of details about a new person when a representation of an earlier significant other was activated. Participants’ list of the new person’s attributes changed on re-test to include elements of the self when the participant had been with the former significant person. Transference occurs even when a target person possesses an attribute incompatible with the significant other’s characteristics, found University of Illinois’s Michael W. Kraus with Berkeley’s Chen, Victoria A. Lee, and Laura D. Straus. Participants demonstrated transference in biased memories and judgments about a person they perceived as similar to a former significant other. This effect was manipulated to elicit positive impressions even when the target was from an ethnic out-group, suggesting ways to reduce stigma and discrimination by evoking positive transference from past experiences to present actors. Baum and Anderson demonstrated that transient mood during a current transference experience is related to one’s positive or negative interpersonal role with the significant other, and whether this role is consistent with the new person’s role. 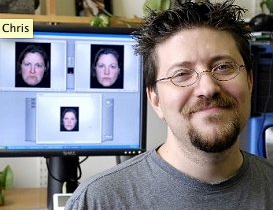 They observed that participants’ transient mood was more positive when the target of their transference resembled their own significant other and occupied a similar role to the original person. These findings suggest that transference in the workplace can be problematic when employees react to one another as they responded to others from the past, introducing unconscious emotional elements to work situations. -*How do you manage transference reactions in work and social situations? This entry was posted in Business Communication, Career Development, Thinking and tagged accessibility, Alana Baum, Bias, Claudia Chloe Brumbaugh, Discrimination, distinctiveness, Katrina Hinkley, Laura D. Straus, Michael W. Kraus, mood, Noah Glassman, R. Chris Fraley, schema-triggered affect, self-concept, Serena Chen, Sigmund Freud, Steve W. Cole, stigma, Susan Andersen, Susan Fiske, transference, Victoria A. Lee on March 21, 2018 by kathrynwelds.